Born in Alcala de Henares. Pupil of Juan de Adnazo at the Real Academia de Bellas Artes de San Fernando. His artistic formation comes mainly from coping work of Goya and Velazquez. Executes assignments in Madrid’s Teatro Real painting the ceiling, as well as painting frescoes in the royal opera building and in the palazzo of the Marques de Salamanque. Appointed honorary court painter and knighted in the order of Karel II by Queen Isabella II. Travels to Paris. Becomes influenced by Delacroix. Strikes up a friendship with Manet. 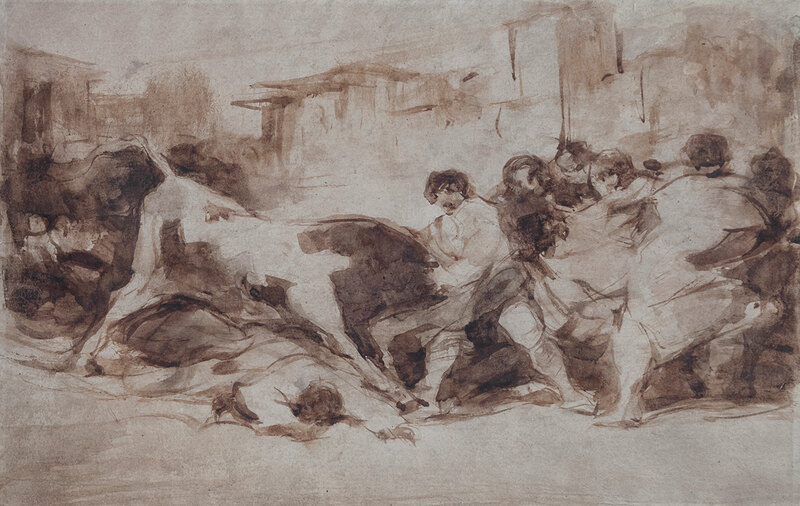 Is most well-known for his small paintings which radiate Goya’s influence: war and inquisition scenes, bull fights, festivals.